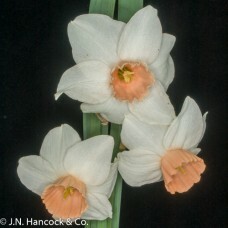 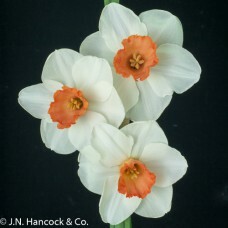 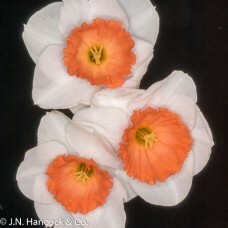 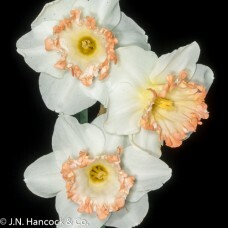 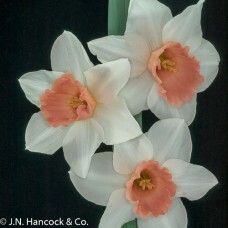 A standout bloom with broad ice-white petals and a contrasting reddish salmon-pink bowl-shaped coron..
An eye-catching daffodil bred in Australia by Hancock’s. 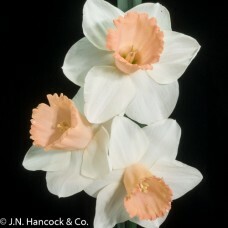 Spreading white petals show off the bowl-sh..
An eye-catching and unique bloom with creamy-white petals and a flesh-pink trumpet massed full of fl..
An outstanding large flower with rounded pure-white petals and an intense pink lightly frilled cup. 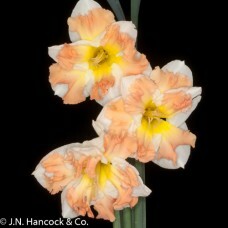 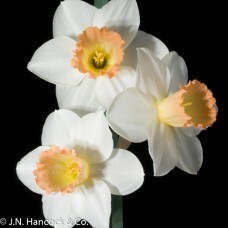 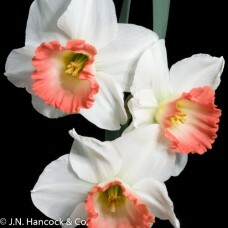 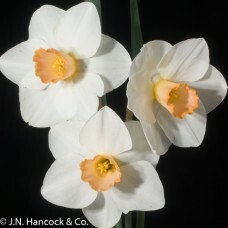 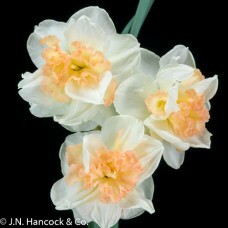 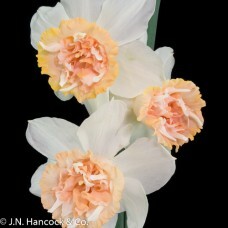 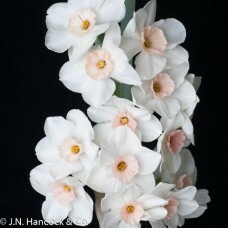 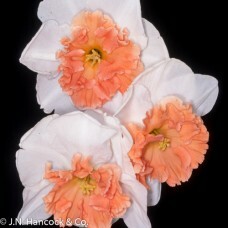 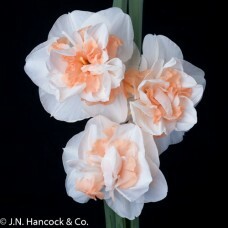 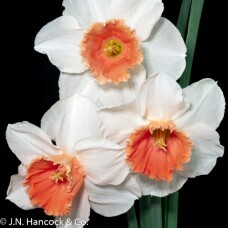 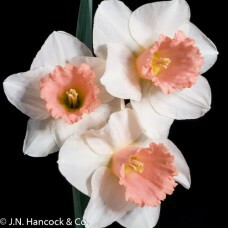 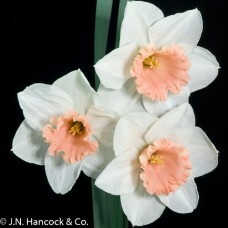 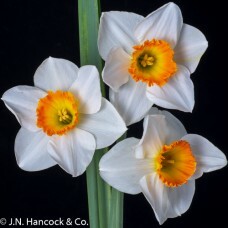 ..
A beautiful large cup daffodil with a smooth white perianth and a white corona with pink at rim. 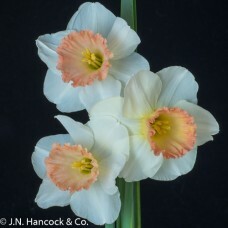 Mid..
Delightful, quality bloom; open bell-shaped cup of soft shell pink with a fluted edge; round white p..
An enchanting bloom with a beautiful deep watermelon-pink, trumpet-shaped corona with a neat, flared..